Welcome to my monthly Newsletter. Thank you for subscribing. The golden age of vinyl records and all things retro are the highlights of my Newsletter. Writing stories based on my vinyl record collection is my way of sharing memories and keeping the oldies alive. I do appreciate the time you take to read my newsletter. Why I Love Vinyl Records. Interesting history on some favorite Christmas songs. Wishing all a very Merry Christmas and exciting new year. Thanksgiving and Christmas is my favorite time of the year when family and friends spend extra time together. Christmas songs set the mood for this wonderful celebration that makes this holiday season a favorite among all, especially children. In this issue I will let you in on some interesting and popular Christmas song facts you may not be aware of. Why I Love vinyl records. Is it the smell, the memories or the distinct audio quality? I don't ever remember being without a record player. Vinyl is the only music medium that has been around as long as I've been alive. There is no reason for me to believe that will change. The whole experience of playing a record is just too good for it to go away. When the trend moved from vinyl LP to CD's, artists took advantage of extra time and stuffed lots of extra songs on the CD. In my opinion the music quality suffered. Songs were added that would have never made the cut on a two-sided vinyl record. Again, just my opinion. Listening to an analog recording and admiring the vinyl cover artwork are clear reasons why vinyl has been around for so long, and why it has continued to show constant growth for the past decade. 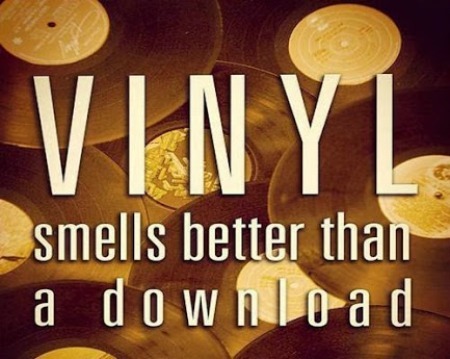 Watch the second video on this page and see why vinyl is still popular. A generous fan returns the Connie Francis Love Letters. More than half a century after actress and singer Connie Francis penned a series of love letters to the love of her life, Bobby Darin, those letters are back in her hands, thanks to a generous Darin fan who felt they belonged with the star. Connie Francis was a top-charting vocalist with hits like "Who's Sorry Now," "Frankie," "Don't Break The Heart That Loves You" and "Where the Boys Are." She penned a series of heart-felt love letters to the love of her life, "Dream Lover" singer Bobby Darin in the 1950s. After Francis lost the bidding for the letters, the woman who won decided to give them to the 77-year-old vocalist. In addition, Connie said she will be auctioning off about 16 furs and 259 of her favorite gowns on February 27th and 28th, 2017, at the Wicks Theater and Museum in Boca Raton Florida. Thanks to newsletter subscriber, Al Mauro, I was able to pass on this great information about the Connie Francis love letters. Nice to have subscribers take interest and pass material on to me to share with others. Thank you, Al. You can read more on my Connie Francis biography page. Songfacts about some of my favorite Christmas songs. Although "Jingle Bell Rock" has received frequent airplay in the United States during every Christmas season since 1957 many are unaware Bobby Helms also recorded "My Special Angel," a #1 Country song the same year. Bobby Helms was quite the crossover country star back in 1957. He played at the Grand Ole Opry at 17 and his February debut single, "Fraulein," reached #1 on the country charts and remained on the charts for 52 weeks. In addition, the song crossed over to the pop charts where it peaked at #36. "My Special Angel" also crossed over and placed #7 on the Billboard Hot 100 chart with the Anita Kerr Singers on background vocals. The Anita Kerr Singers also sang background vocals on some of Patsy Cline's early records. This Christmas classic, produced by Owen Bradley, featured country-session player legend Hank "Sugarfoot" Garland on guitar. He can also be heard plaing those famous guitar licks on Brenda Lee's "Rockin' Around The Christmas Tree". 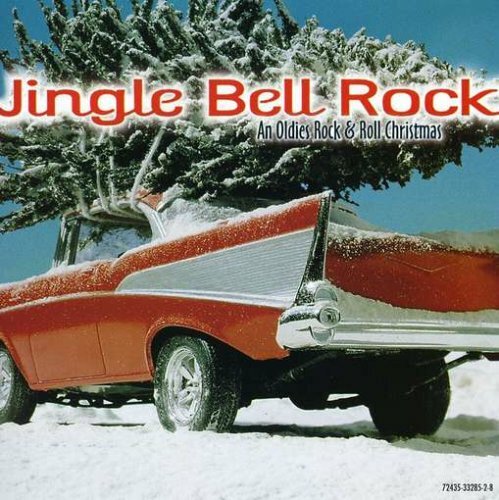 This cool little pop-rockabilly Christmas card should have been the single that introduced Little Miss Dynamite to the Top 40 masses, but it didn't. Recorded in October 1958 and released that same year, it did nothing at the time, or the year after that. But when Brenda Lee finally cracked the pop market in 1960 with "Sweet Nothin's" and "I'm Sorry," this seasonal number shot up the charts. It did miss the top ten by a few notches, but it charted for two years afterward, and has since become one of the most popular Christmas songs ever -- 8 million copies sold in its first thirty years. Side note: the songwriter behind this novelty was Johnny Marks, who must be the king of Christmas songwriters -- he's credited with "Rudolph The Red-Nosed Reindeer," "A Holly Jolly Christmas," "Run Run Rudolph," and this one. RCA 447-0720 b/w "Wooden Heart"
Although many assume it was written for Elvis, like most of his hits were, "Blue Christmas" actually dates all the way back to 1949, when Russ Morgan, Hugo Winterhalter, and Ernest Tubb all had hits with it. 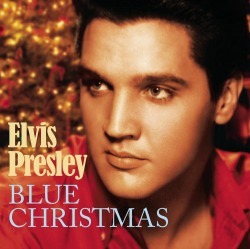 And while it was included as a track on 1957's Elvis Christmas Album, it inexplicably never saw the light of day as a single until seven years later. Promo copies were issued only to DJs in '57, and only as a way to promote the entire album. Nevertheless, it rocketed straight to Number One at a time when the British Invasion was taking place in 1964. His bluesy rendition is still considered the standard, backed as it is by the Jordanaires, singer Millie Kirkham (the female voice you hear on the track), and the classic RCA backup band of Scotty Moore, Bill Black, and D.J. 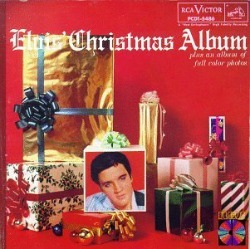 The Christmas LP photo above is the same album I purchased new in 1957 as a teenager. I managed to keep that album for more than a half century before I sadly lost it in a move. Watch Elvis and Martina McBride singing Blue Christmas together. Columbia 38610 (78) b/w "If It Doesn't Snow On Christmas"
Many of our treasured Christmas stories are the direct result of advertising campaigns. When the popular Montgomery Ward chain of department stores needed a coloring book of their own to sell at Christmas, they bought up a story copywriter Robert L. May had written for his daughter, supposedly based on his own outcast experiences as a scrawny kid. The public ate it up, and May's brother-in-law Johnny Marks eventually crafted a song around the tale. 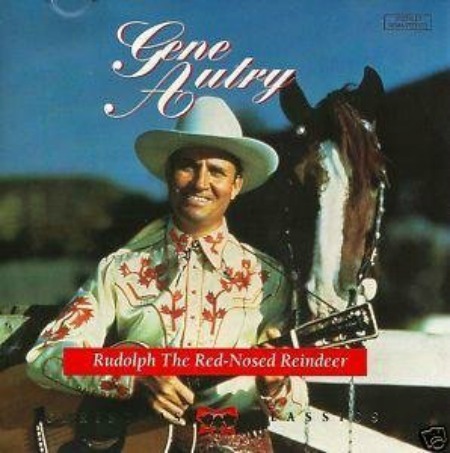 Cowboy crooner Gene Autry had to be convinced to record the original in 1949, but it turned out to be a good decision: as far as holiday favorites go, only "White Christmas" has sold more copies. "A Christmas Gift for You"
"A Christmas Gift for You from Philles Records" is clearly one of the very best holiday albums you could ever have in your record album collection. And what an album it turned out to be, indeed it is probably the touchstone for every Christmas album that was to follow in its wake. 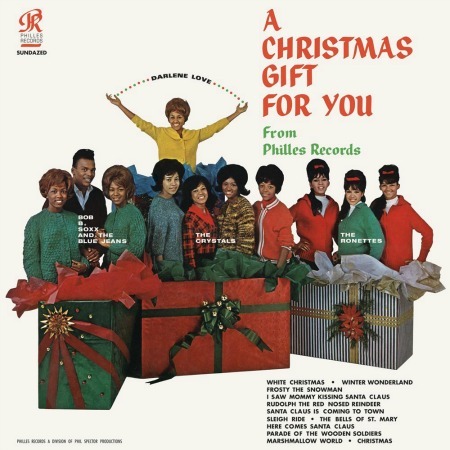 "A Christmas Gift for You From Phil Spector " is one of the greatest Christmas albums of all time, partially because the music is so incredible, and partially because the amazing artists who sang and played the music that Spector produced in his signature “Wall of Sound” style deserve their due. 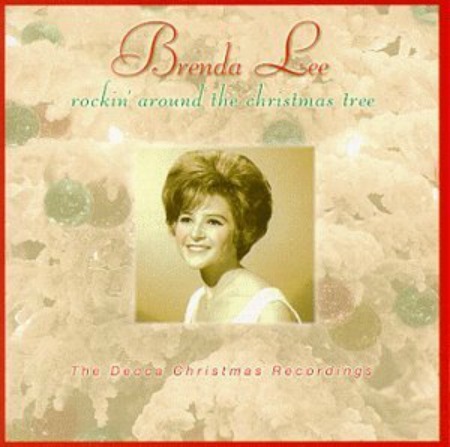 Today, many of the Christmas songs on the album have become unique versions of these songs, namely the Ronettes’ “Frosty the Snowman,” The Crystals’ “Santa Claus is Coming to Town,” and pretty much every one of the Darlene Love songs. The Ronettes powered through ‘Frosty The Snowman’, ‘I Saw Mommy Kissing Santa Claus’ and ‘Sleigh Ride’ with gusto. 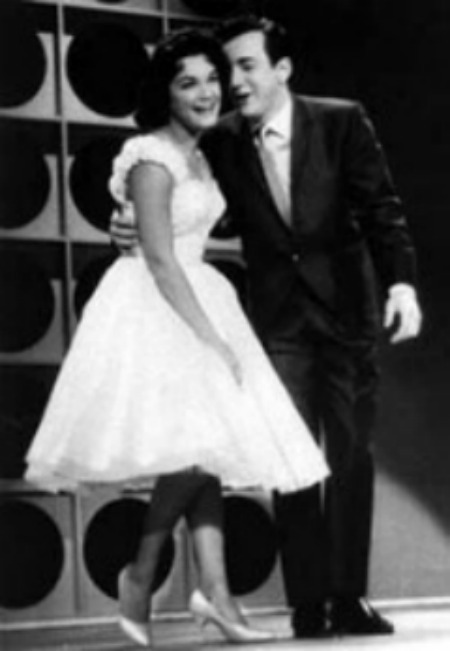 The beehive sporting 3-piece was made up of Spector’s wife Ronnie, her sister Estelle Bennett and cousin Nedra Talley. The artists on this record are all the very best and their amazing renditions of classic Christmas tunes really stick with you long after you hear them--this music is all THAT good! I like that album cover artwork, too. A Christmas Gift for You was released on the same day as the assassination of J.F.Kennedy in 1963. It's success came on it's re-release in 1972 when it reached #6 on the Billboard of holiday albums for that year. Brian Wilson has cited "A Christmas Gift for You" as his favorite album of all time. The famous session group "The Wrecking Crew" played on this album which included the late Leon Russell on piano, Sonny Bono on percussion, (yes, that Sonny Bono) Hal Blain on drums and Steve Douglas (Duane Eddy, Beach Boys sessions) on saxophone. Listen to my favorite Country Doo-Wop show Monday thru Saturday from (Time and dates will be announced). 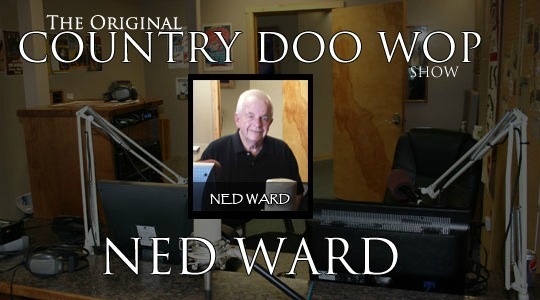 DJ Ned Ward turns music into memories playing yesterday's Country Favorites and the Classic Hits of the 50's and 60's Doo Wop style on the new and exciting KNCP Newberry Mix 107.3 FM. If you have any favorite vinyl record topics you'd like to see on this site, please click here and enter your information in the contact form. I would love to hear from you. I'll respond within 24 hours. Have a great month. Return to Newsletter main page. To see older back issues click here.